to under the sea at the Aquarium. 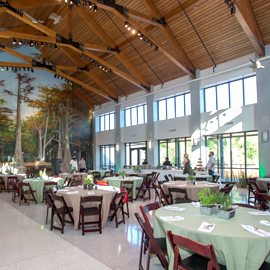 The Audubon Event team is the first caterer in Louisiana with Green Certification through the Green Restaurant Association. It’s a perfect pairing of environmental stewardship and culinary excellence. 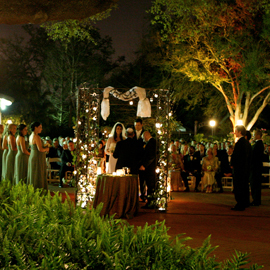 Choose a beautiful venue to host your dream ceremony, reception, rehearsal dinner, or luncheon. 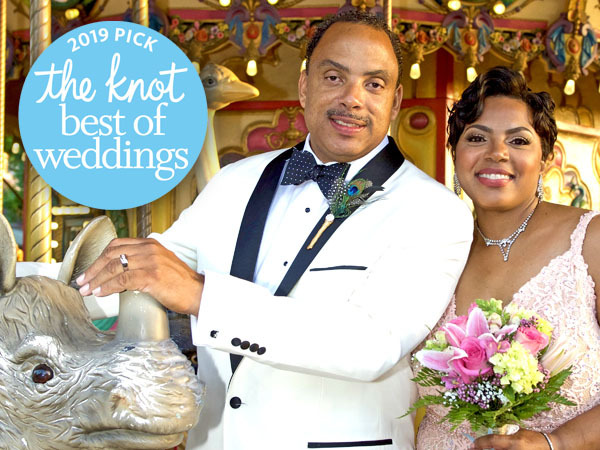 Vows are exchanged under the stars at the Sea Lion Colonnade; in the Maya Tunnel or in front of the Gulf Exhibit; in the Tea Room Garden; on the Cajun Ballroom’s outdoor deck; under the oaks at the Clubhouse; and other magical spots. For inquiries about all our Audubon venues except the Audubon Clubhouse contact our event experts at (504) 212-5301 or fill out the inquiry form below. For all Audubon Clubhouse or Oak Grove inquiries call (504) 212-5257 or fill out the inquiry form below. A luxurious formal space with lofty ceilings, opulent silk draperies, and polished hardwood floors for dancing. A set of gleaming double doors leads into the lush, romantic Tea Room Garden. 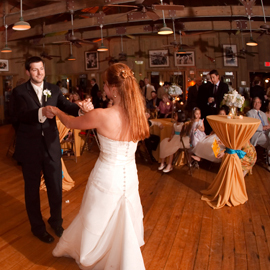 For a more unconventional and relaxed event, our Cajun Ballroom in the heart of the Louisiana Swamp Exhibit, offers a rustic but elegant dance hall. 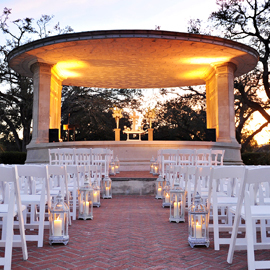 The Odenheimer area offers several locations for a beautiful outdoor event including the historic Sea Lion Pool, the elegant Hygeia Fountain or the Odenheimer arbor. The Aquarium’s appealing riverfront location is just a short walk from the convention center, historic French Quarter and major hotels. 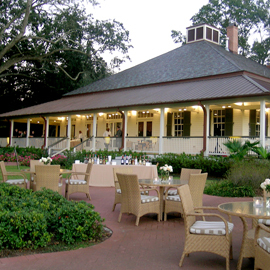 This Acadian-style venue offers an expansive view of the beautifully-manicured Audubon Park Golf Course. 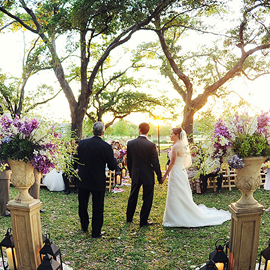 Say your vows under the embracing arms of ancient oak trees. 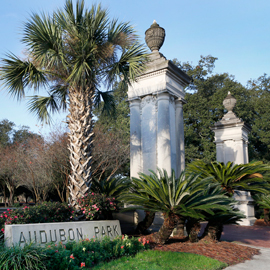 Audubon Clubhouse is adjacent to the oak grove for reception possibilities. A commanding location at the edge of a park lagoon. It suits both large and small gatherings, and is very popular for weddings and parties. Let the beauty of nature inspire and enhance your wedding or reception. Indoor and outdoor options are available. 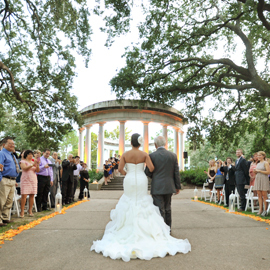 Audubon Park is a beautiful destination to pledge your vows in an outdoor wedding ceremony among the acres of greenery and ancient oaks. 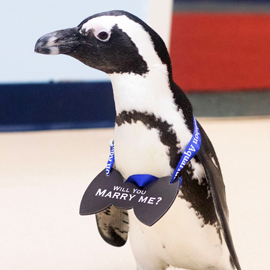 Ready to pop the big question in an unforgettable way? 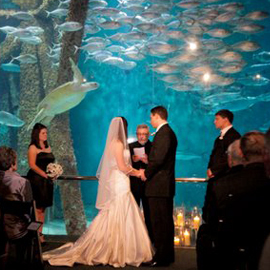 Let us help you create a memory to treasure for a lifetime with a unique engagement package at Audubon Aquarium of the Americas.